Greater Nenthead Traverse: Ian and Leif (16th August 2014). 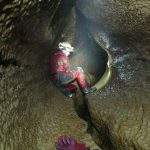 We had been piecing this trip together since the start of the year; initially exploring the far end of Smallcleugh in the region of Baron’s Sump and finding the airy workings in Cowhill Cross Vein that connect with the wet Caplecleugh levels below. Subsequent visits in the summer had enabled us to learn the various sections, with the only blank part of the canvas being the connection between Brownley Hill and Nentsberry Haggs….unfortunately. 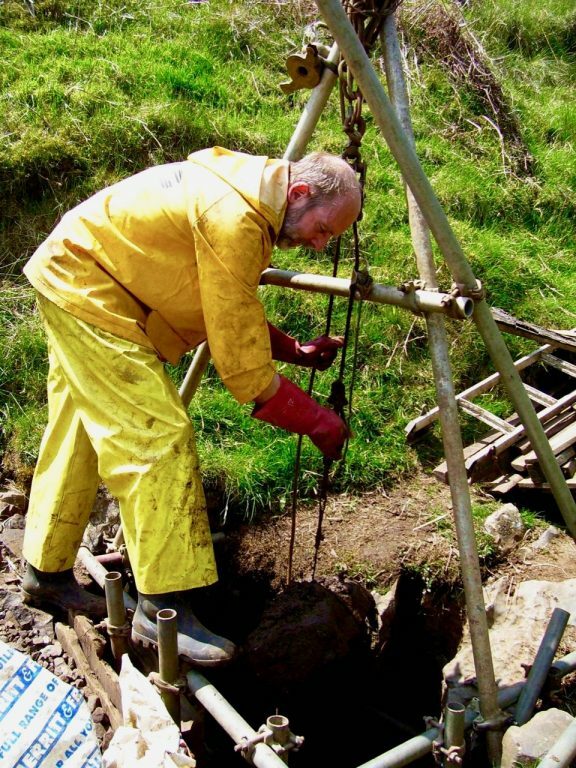 To save time I elected to take a solo trip into Smallcleugh to check that Proud’s Sump was rigged and to leave ropes for the descent into Brownley Hill from Scaleburn. 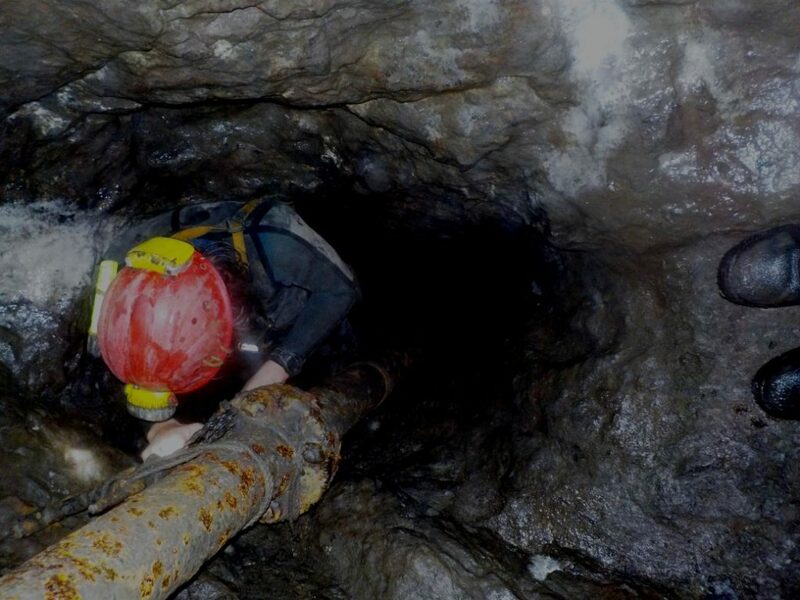 As I have previously stated, doing solo caving trips is no problem to me, but solo mine trips, even so trivial as this one feel a little spooky to me. Maybe it’s because caves are alive, with the usual friendly sound of running water as an accompaniment, whilst mines are dead, with the consequent decay manifest in the crumbling walls, decaying artefacts and occasional stinking air. Perhaps that’s why I don’t enjoy the complex upper passages of Gaping Gill and Easegill; but never mind, one has to abandon negative thoughts and complete the task in hand whilst maintaining concentration to minimise the objective dangers. Smallcleugh is the most popular part of the system, although one soon tires of its mucky character and I resigned myself to 30 minutes of work to avoid carrying a large tackle sack through the canals of Caplecleugh the next day. A couple of minutes in and I was soon aware of the booming sound of a party exiting and plodging along the shin-deep water in the passage. I paused at a bend to let the other party pass only to be castigated for having too-bright a light and hurting some sensitive beardy’s eyes – well don’t look at it you wazzock! A quick zip down to the mid-height ledge of Proud’s to deposit the ropes and I was up in a crack – back at the car to see the aforementioned party washing kit in the outflow from Rampgill and Caplecleugh before having some refreshment in the Miner’s with my wife, who had been reading in the car. Next day found us well attired in neoprene for the trip, with munchies, compass and surveys in the Daren drum. I tend to move fast underground – not to prove a point, but it just feels natural and keeps my skinny carcass warm, hence I reckoned the trip would take five to five and a half hours. Progress through Caplecleugh was swift and taking the route back through Smallcleugh Horse Level we were at Proud’s in 2 hours 15 min. The most interesting part of the trip is the descent from Scaleburn via a 35m pitch into very aqueous passages in Brownley Hill. With wet weather during the week in the form of some torrential storms, I had feared for the airspace in the sections we had found to require a helmet-off approach a couple of weeks previous – in a dry spell – and flood debris was on the walls well above the airspace, although with a wetsuit hood on one could get through the duck sections without too much grief. Calcite film 2 Nentsberry Haggs. Calcite film 2 Nentsberry Haggs..
Finding the air to be fresh in the solid limestone section, we had a quick poke around in the chutes leading up, before continuing on and reaching the Engine Shaft junction in about four and a half hours. Being only 2 minutes from the surface at the Brownley Hill adit means that one starts to relax, but we were continuing on to exit Nentsberry Haggs with only one problem – finding the connection! From my research, I believed that we were looking for a small hole in the floor to descend to the levels below, with an easy romp thereon to the exit. Not quite so and we spent at least an hour exploring every nook and cranny, not knowing that I had looked at the way on almost immediately – it being the descent of a ladder attached to and hidden by a large metal pipe. Deliverance came in the form of a couple of guys exiting via Brownley Hill. Perhaps they were twins, or brothers at least, being identical in form and attire; anyway they pointed us in the right direction and we were soon on our way, following the wet, but easy going to the exit. Pausing only to take some pictures of the calcite surface of some of the pools, we were soon out, with me being initially confused by the gate opening in a different plane to other adits and having a nut and bolt holding it fast too. 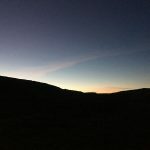 After walking back to Nenthead mines car park, we were more interested in going to the pub than retrieving the ropes, so that pleasure fell to me the next evening in another jolly solo trip through Rampgill and Scaleburn – character-building stuff. The final deed of the day was a bit of wall repair/cattle herding when we found the road down Weardale to be sporting a section of collapsed stone wall and a bunch of heifers contemplating a leap into the highway. We cleared the road and blocked the gap to keep cattle and cars apart and upon returning home the gear was dumped into a water barrel to be cleaned on the morrow. 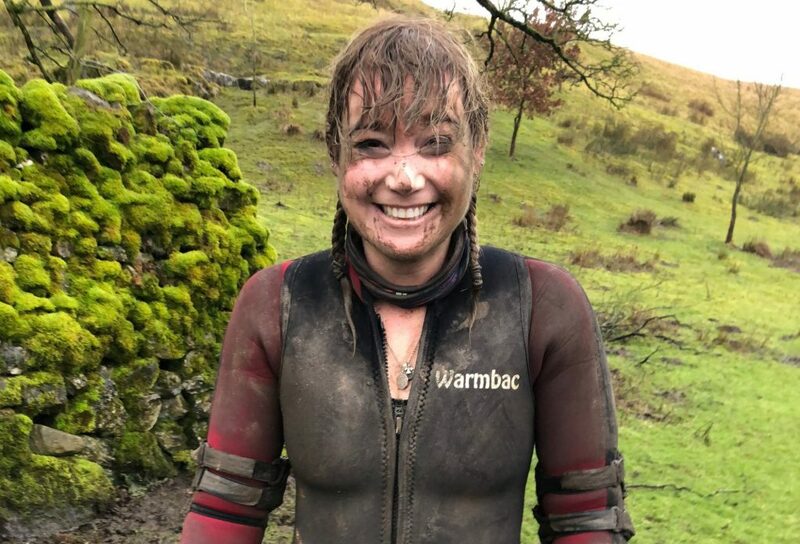 The Nenthead Traverse is a super trip, having a different challenge to caving, but having sufficient wet wallowing to satisfy a stream cave junkie like myself.